This facility was originally designed by owner Gary Dunn while he was employed by a local architectural firm. GD Architecture completed the addition of this building in 2007. 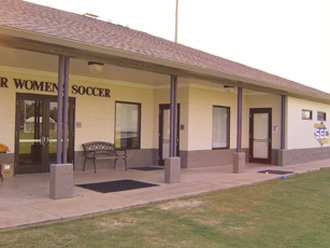 Designed to match the original design, the building houses a new visitor’s team changing room and LSU Women's Soccer Team recreational room.